The Developing Player Program (DPP) is an individual skill development program that is in addition to club & school training programs. The DPP aims to help aid in the development of players through on pitch skill development as well as off pitch education on key aspects of their game, nutrition, strength & conditioning and game understanding. 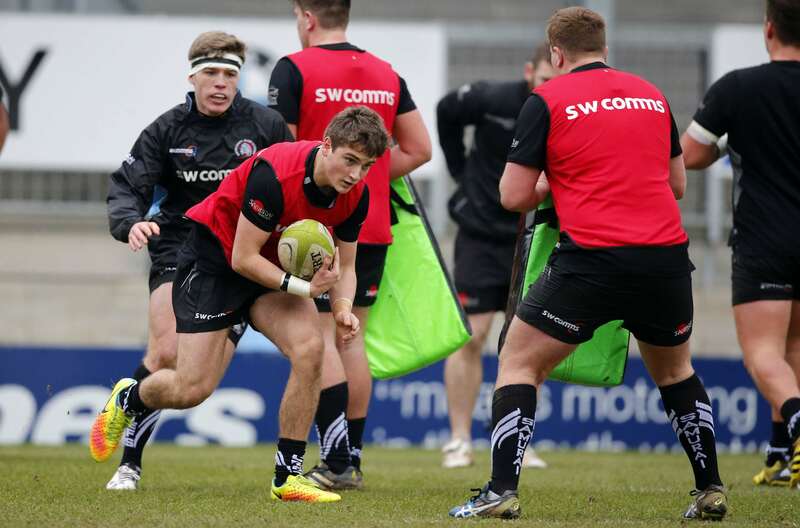 Our DPP engages players aged 13 – 16 years old from across Devon and Cornwall. Players work in regional squads for majority of the year with opportunity to train in central squads with full time Exeter Chiefs Academy coaches available in a fluid and development led cycle. The principle objective of DPP is to provide a consistent and high quality experience, which is tailored to the needs of individual players to encourage their lifelong participation in rugby. It will identify those with talent and help them find the right direction to follow, whether that is into professional rugby or long term participation at a level appropriate to them. 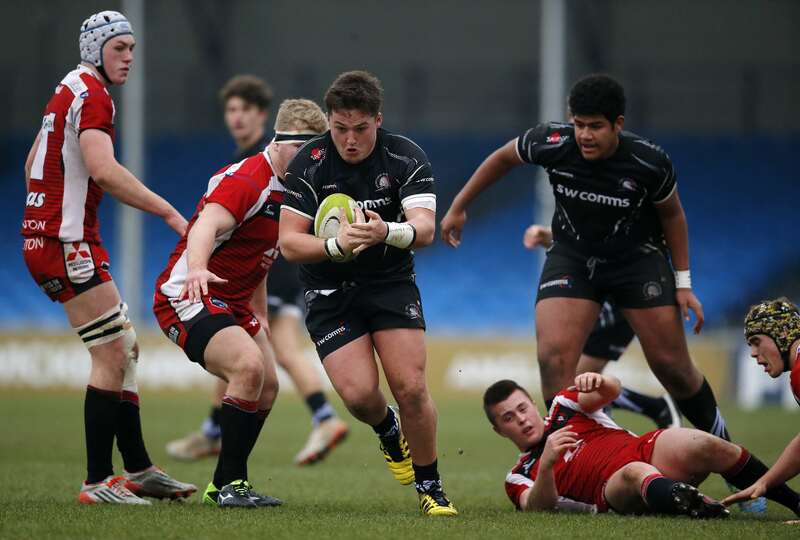 The DPP is a key part of the Exeter Chiefs Academy Pathway. With an aim to keep the program as wide based in numbers as possible, this provides as many players with the opportunity to develop at different stages and environments. Being selected or not at 13 or 14 years of age, does not give an indication of where you will end up as a rugby player. The program and pathway allows for late developers and late discoveries as we work hard to create opportunities for players at the right stage of their development. Academy coaches work closely with regional DPP coaches, County coaches, club coaches and school programs to watch as many games and sessions around the counties as they can, which helps build a picture of players development needs as well as helping with Pathway progression. Over the years the ideals and key aspects to the program have not changed from its days of ‘Schools of Rugby’ to its more modern Academy led DPP. The success of the program is clear to see with huge numbers of players now playing the game at local clubs such as Exmouth, Redruth, Newquay, Plymouth Albion and Cornish Pirates as well as many others. To further highlight the programs strength then look no further than our senior Exeter Chiefs squad where many have progressed from DPP to Academy recognition and beyond including Joe Simmonds, Sam Simmonds, Luke Cowan-Dickie, Dave Ewers, Sam Hill, Jack Nowell, Henry Slade and Ben Moon. All DPP Training will take place at the Exwick Hub. Please see below for Hub footwear policy. DPP training has finished for the 2018/19 season. Thank you to all the players for their continued hard work, commitment and passion which never goes unnoticed. Also a big thank you to the parents for their time and efforts in travelling to training. Information regarding the 2019/20 season will be released August/September so please check the website for updates. Have a great summer!